It’s time for another Run for Empowerment! I did this one back in 2009 when I lived in Burlington the first time. It’s a fun romp along the bike path, and it benefits Women Helping Battered Women. 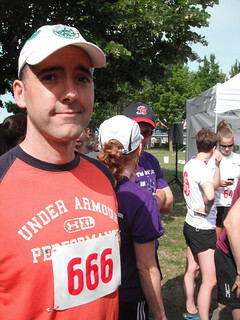 And for the first time ever, I got to run as the Living Embodiment of Evil. Good times! Cara had to work, so I ran this one solo. good thing, too. Instead of a regular entry fee, they had a “donation” requirement. The minimum was $35. Not too bad for a single, but for two people it’s a bit steep for a race without a t-shirt… or rather, no t-shirt for donations less than $100. But hey, I don’t mean to complain. It’s a smaller race, and they’re doing their best to grow. They didn’t have shirts when I first ran this event in 2009 either. The important thing is the money they raised for their charity. Something Different happened when I registered for this one. Something that I don’t think I would have seed Down South. I registered right after runner 665, so my number was… wait for it…. 666! Seriously, I was 666. I’m really not so bad. Honest. If this race were in Charleston, or any southern state, there’s a good chance that this number would have been thrown out. It’s the Number of the Beast, after all. But of course, that’s a matter or perspective. When I laughed at the number, one of the race volunteers told me that the number was actually good luck in pagan circles. She was trying to reassure me, I suppose. I didn’t doubt her, of course. The Romans incorporated quite a bit of pagan culture when they were stomping around and annexing people. But in this case, please don’t tell me that this is good luck. You’ll kill a good line of jokes for me. But I digress. All jokes aside, it was a Hell of a race. (See what I did there? I said I wasn’t joking, and then I stole a joke from a friend of mine. Very clever of me.) Just like last time, it wound through Waterfront Park before entering the bike path. 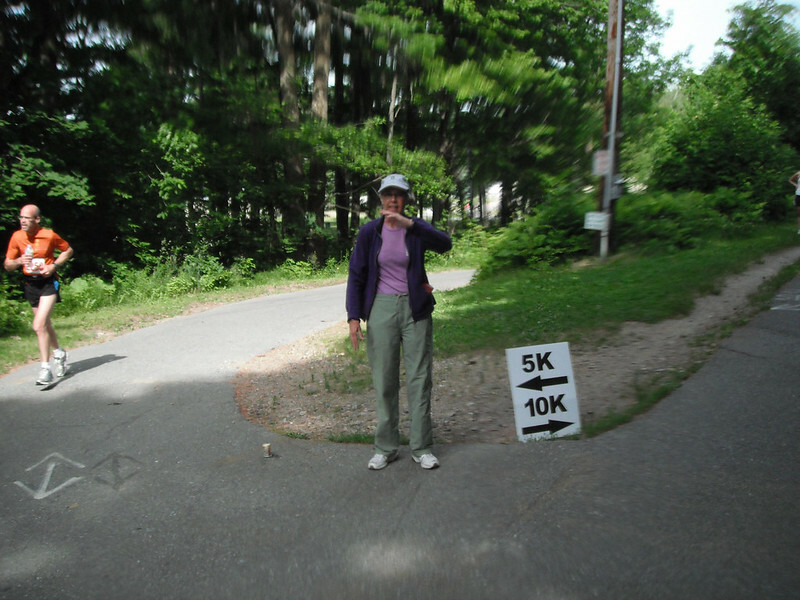 There were three events in all: The Kid’s 1K race, and then the joint 5K/10K events. I say “joint” because we were all together until we hit a literal fork in the road. 5K people went left, and the rest of us went right. Most likely, my lack of proper training was mitigated by my obvious demonic abilities. Because that’s what the Number of the Beast does for you. It lets you run at a moderately decent pace. Kind of a let-down, really. Anyhoo, stuff was good after the race. I got some good Finish Line pics, and I even waited for the award ceremony. There was a snag, though. They goofed up the winners, giving medals to a couple of people before the runners noticed that the first place people weren’t actually first. Medals were given back, and the volunteers went back to their computers to figure things out. I wound up waiting for the entire raffle just to see if I got anything, but my number must be unlucky or something. At least I got to chat with some of the other runners, including a fun dude named Paul. So, in conclusion, things went pretty well. It was a fun race with great weather and a bunch of fun people. I really enjoyed this one.